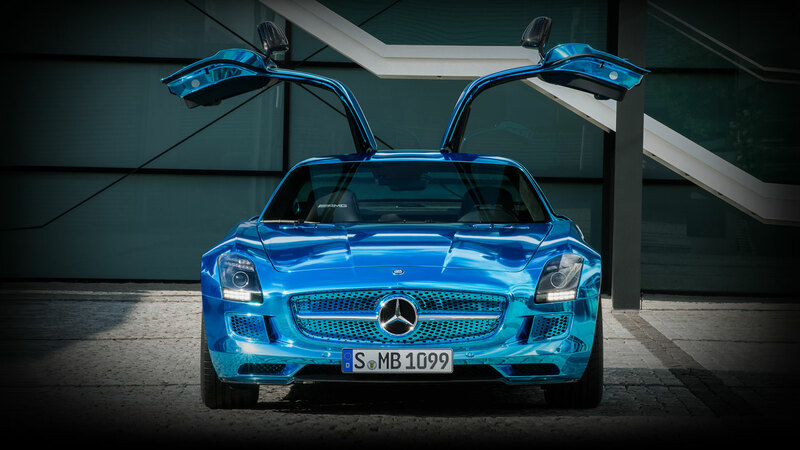 Mercedes Benz has been one of the leading car manufacturers in the field of car technology and innovation. Each car they churn out betters there stand in the automobile industry by leap folds . And with tough competition from the likes of BMW and Audi, the car maker is always on its toes with a prime goal to stay ahead. Another milestone that will place the German carmaker two steps ahead of the competition has now taken form and is ready to hit the roads. Some of the top end Mercedes Benz models could soon get the new F1-inspired hybrid tech to make them faster while keeping the efficiency figures at best behaviour. Recently F1 cars made their transition from 2.4-liter naturally-aspirated V8 engines to 1.6-liter turbocharged V6 power plants with energy recovery systems to help in achieving the new stringent norms of fuel saving. While the turbochargers increase power delivery by recycling the exhaust gasses and the electric motors give the engines the urgency in response by reducing the much dreaded turbo lag. Dieter Zetsche, Head of Mercedes-Benz cars says that this technology has helped them increase their fuel consumption by 30% and still post a lap time that was faster than last year on the same tracks (unfortunately at the expense of the marvellous engine sounds that the 2013 cars produced). Furthermore, the chaps at Mercedes have developed a unique arrangement of the exhaust gas-powered and electric-assisted turbocharger on their car’s power unit. Thanks to all these extreme technologies, Mercedes now has the upper hand over the rival F1 engine manufacturers, Ferrari and Renault. And now Mercedes-Benz plans to shift their Formula One technical knowhow to their road legal cars, it is only a matter of time before these high-tech engineering benefits efficiency for the consumer market. Although, Hypercar and Supercar manufacturers have already incorporated these technologies in their latest creations such as the Ferrari’s LaFerrari, McLaren’s P1 and Porsche’s 918, the trinkle of such technology down to a wider car buying audience would soon show its much added benefits, while it softens the essence of enthusiastic driving to a certain extent, we petrol-heads would more than welcome the addition of power without creating efficiency deficits. Mercedes-AMG GT S launched at INR 2.4 crore.